Singapore can be quite humid during the some of the hotter months, and there will be lots of outdoor activities you would like to enjoy with your family. A good working aircon keeps you cool during these hot periods. 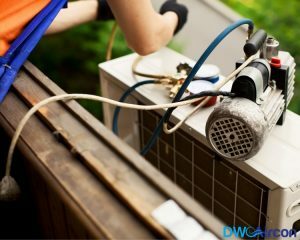 Noticing any sign that the aircon is due for repairs keeps your air conditioner functioning properly with quick and efficient aircon repair whenever you need it. Not all signs of due repairs are obvious at first glance. 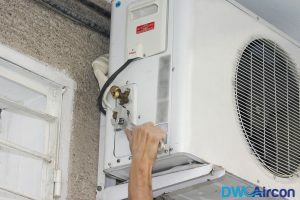 However, you will be better equipped to identify signs that your aircon is in need of an air conditioner repair when you know these common signs. Obvious dirt outside the unit – Check around your air conditioning unit to see if there is loads of dirt close to the outdoor unit. If there is a lot of dust or debris around your air conditioner, it is an indication that you may need to repair your aircon in the future, maybe nothing serious now but at least dusting and brushing will keep it functioning longer. Aircon not cooling – The most obvious sign that you are in need of aircon repair in Singapore is when you are unable to feel the coolness of the aircon when it’s working. Most times, the cause may be something that an aircon company in Singapore can fix without you having to go through the hassle of doing an aircon replacement. Increasing electricity bill – Another sign that will tell you your air conditioner is faulty will be a spike in your monthly electricity bills. 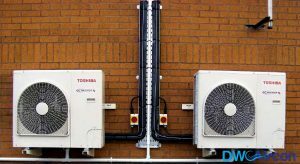 Faulty air conditioners consume more electricity than normal and this may cost you lots of money. Keep an eye on your electricity bill to see any unexplained spikes. Unnatural shutdowns – When your aircon shutdowns unexpectedly and also quite frequently, you can be sure that this is a clear indication of a cry for help. It may be due to a circuit problem or it wirings. Be sure to have it check by an aircon specialist. Bad odours – Your aircon’s job is to purify the air, but when you notice the opposite such as bad smells, you should be calling an aircon repair company immediately. Sometimes the smell may be as a result of gas leakage or an inability of the filters to keep out allergens or a sign that mould and other microbes are growing in the unit. None of the above is any good for you. Thus, it is of high importance to contact an aircon technician as soon as possible. 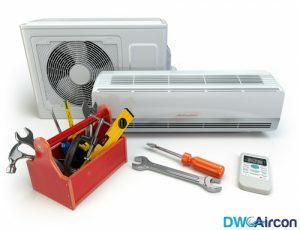 It is one thing to have an aircon repair issue and call a cheap aircon technician to come repair your unit. This is counterproductive as you will end up losing more money than you were trying to save. Contact DW Aircon Services Singapore today for all your aircon repair needs and be served by our reliable and experienced aircon technicians, that will carry out all your repairs with a service guarantee. We provide aircon installation, servicing and replacement where needed.